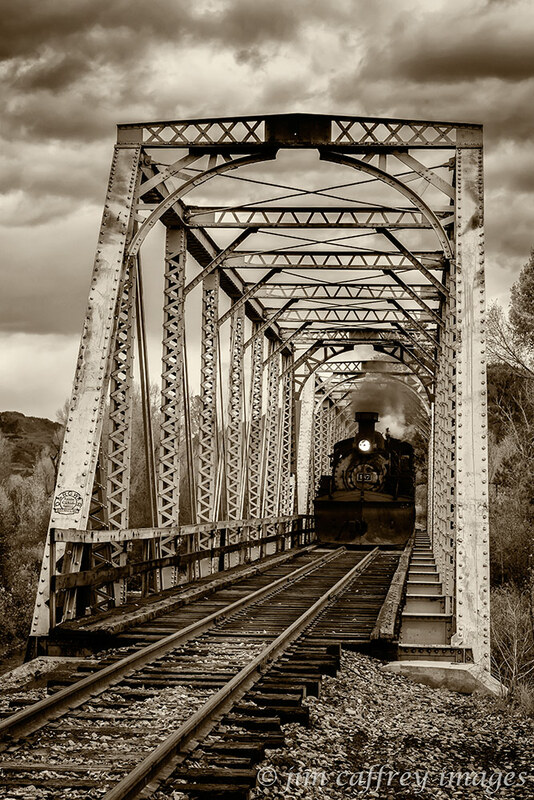 I am constantly on the lookout for new images. Even while I’m driving, one eye is searching for a photograph. But, to really see, it is important that I be present so I can delve into the potential image, dissect it and study the relationships between the elements. What is the best way to do this? What should I look for as I move through this process? The first step is to ask myself: What was it that drew me to this scene? Usually it was a singular object, or a play of light over the landscape. 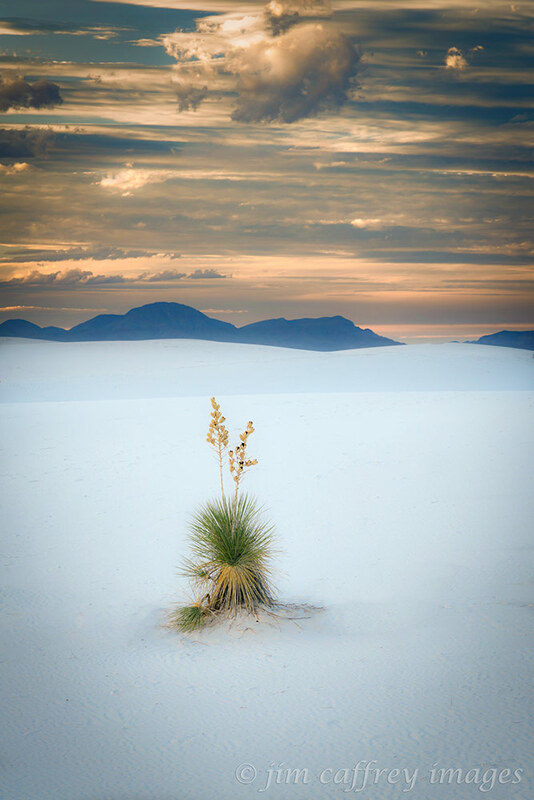 The Soaptree Yuccas, the sidelit patterns, and the subtle light on the sand dunes at White Sands National Monument were what grabbed my attention and led to this first image. Understanding my motivation made it easier realize what I want to say with the photograph. Next I had to frame the scene in a way that would tell the story in the best way possible. I placed the closest yucca up front, but a little off center, leaving little doubt that it was the main subject of the image. This placement also allowed me to separate it from the others in the middle ground and avoid a confusing and static composition. My choices for the exposure had to be based on the dynamic range of the scene, which, In this case, was pretty wide considering the bright highlights on the sand in the distance, and the dark tonality in the shadows near sunset. 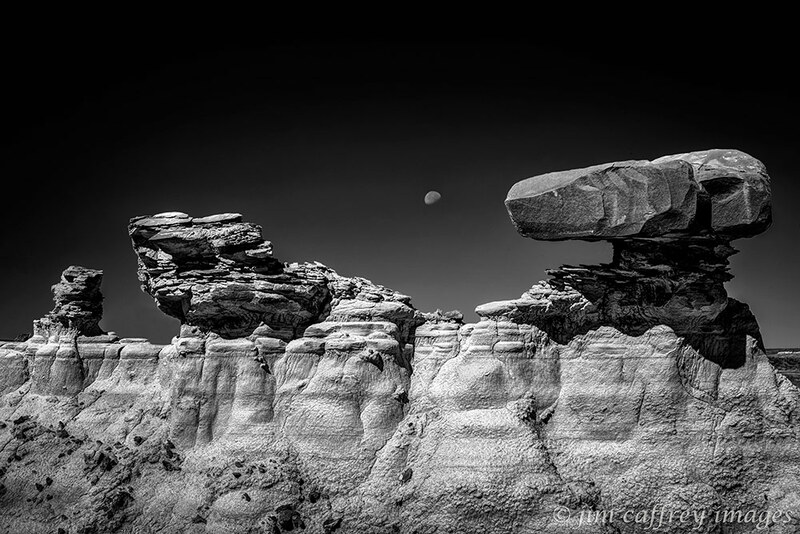 The first technical requirement was that I capture a broad dynamic range, so I made a bracketed series of exposures that covered the entire spectrum of tonalities in the scene. Even though I didn’t need to use all the different exposures, it’s better to have them and not need them than it is to need them and…well you know. The next requirement was that the depth of field be wide enough to have sharp details front to rear. Because of the low light level at the time of day I was shooting this, the fact that I was shooting at the lowest possible ISO–to achieve the best possible image quality, and the small aperture needed to get the depth of field I required, my shutter speed was relatively slow–1/10th of a second. That meant that I needed to shoot with my camera mounted on a tripod (something I usually do anyway). It’s easy to see from this cause and effect chain how my creative workflow was based not only on composition and design elements, but also included technical considerations. The second image of Sandhill Cranes at Bosque del Apache National Wildlife Refuge was made at twilight, that special time in the evening just after the sun set and the light is bouncing off the upper atmosphere. I was taken by the reflection of the colored sky and the reeds in the placid water of the foreground, and the transition from the smooth to the to the rough texture of the water, which created a layer-like effect because of the sudden change in color and texture. This layer is also where the action takes place: the cranes mingling, spreading their wings, foraging for dinner. There is then an abrupt transition to the golden reeds and the darker background before the final shift to the lighter tonality and magenta shades of the distant mountains and the sky. I had my camera mounted on my tripod as usual, but I kept the bullhead swivel loose so I could easily pan to follow the movement of the birds. This image also relies on a wide depth of field to preserve sharpness in the details of all the layers mentioned above. I wanted to make the layering effect more obvious, so I boosted the saturation and contrast a little. Once again, the thought process kicks in and the decisions are made. The point of all this is to stress the importance of being involved in the making of an image. If you want a photograph to be yours, you need to put a little of yourself into it, and you need to be intentional throughout the process. 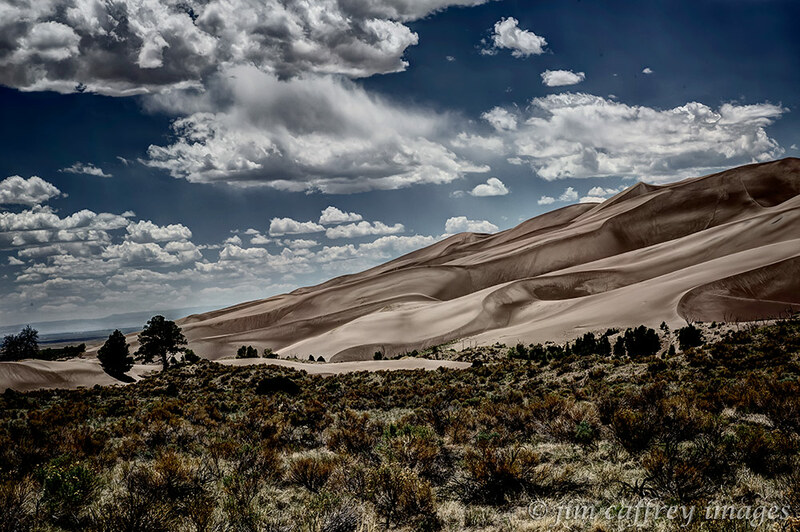 The Great San Dunes National Park in southern Colorado is one of those places that take you by surprise, at least it did me. All of the images I had seen of the place did not prepare me for the actual experience. 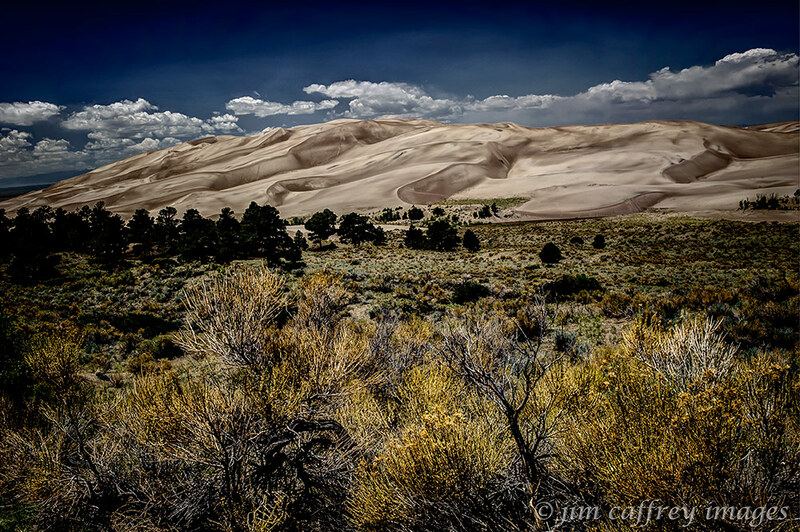 You begin to see the dunes from quite a distance, and they grow ever larger as you draw closer. 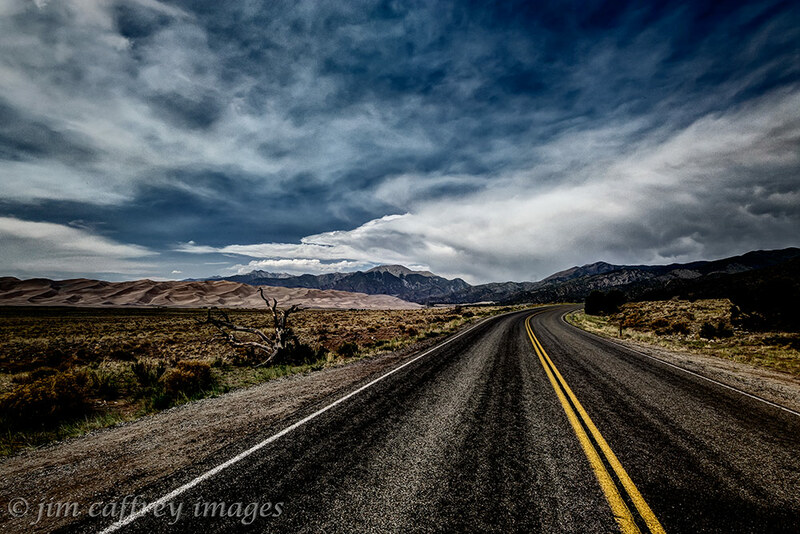 With the Sangre de Cristo Mountains as a backdrop, the visual contrast is immediately evident. 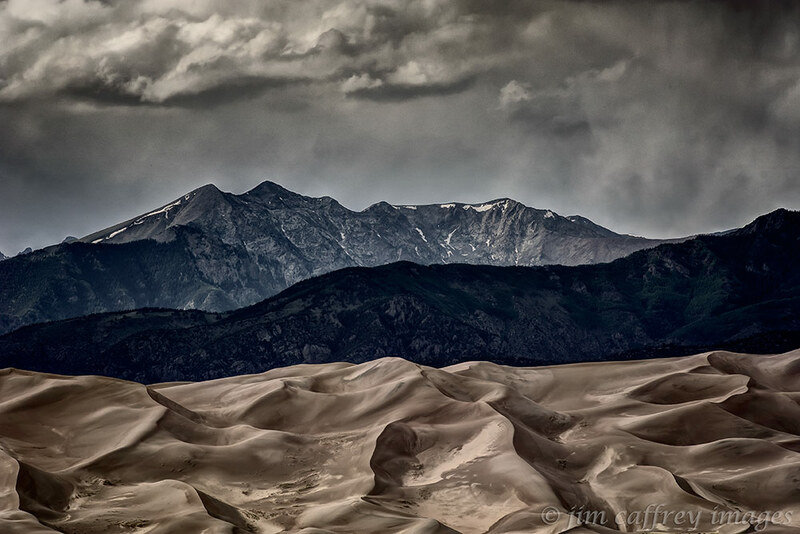 The rugged peaks of the range make the dunes appear soft and sensual. But the contrasts don’t stop there. The interface of the sand dunes with the surrounding ecosystems teem with biodiversity. There is sage, and there are ponderosa pines. 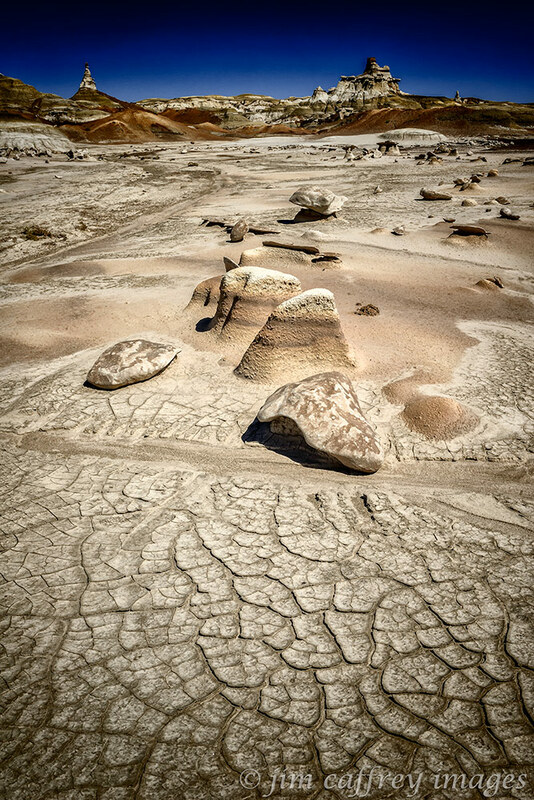 There is a perennial stream (Medano Creek) which serves to return the sand which is blown off the dunes and into the mountains back to the base of the dune field. And, of course there is an abundance of wildlife, from the small to the large, insects and prairie dogs to deer and mountain lions. Then there are the dunes themselves which tower as high as six hundred and fifty feet above the valley floor. It is an almost surreal scene; imagine part of the Sahara Desert dropped into the middle of the Rocky Mountains. As you move from one zone to the next, it is a subtle thing. The ecosystems are feathered into one another so there is no definite boundary, but from certain perspectives, the change can seem abrupt. 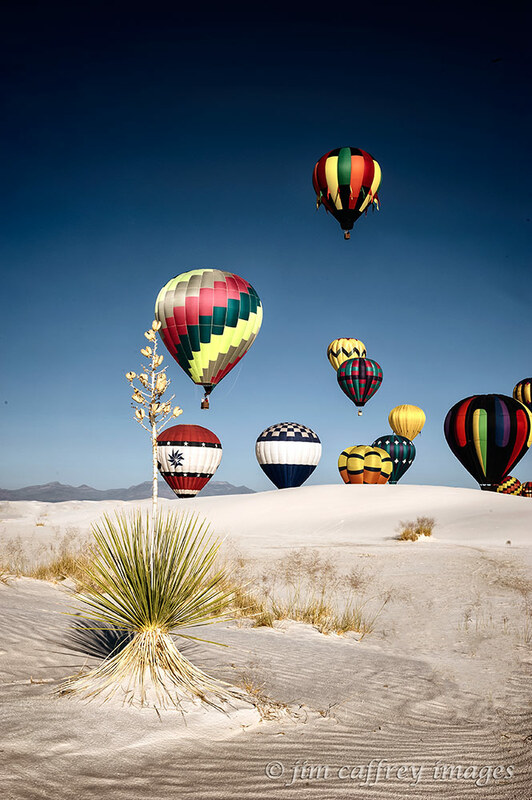 The White Sands Balloon Invitational is an annual event that takes place in September. It is much smaller than the world-famous Albuquerque Balloon Fiesta, but the setting is far more dramatic and beautiful. After several years of thinking about going, I finally made the trip to Alamogordo. On Sunday morning, I was up at 4 AM and waiting at the gate to the monument at a little before 5. 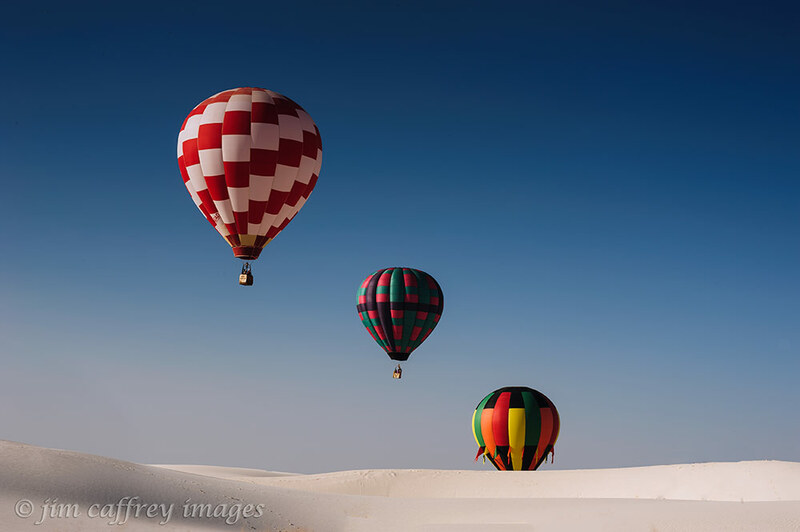 When the gates opened (a little after 6), I was fifth in line and when I got near the area where from which the balloons would launch, I parked on the side of the road, grabbed my backpack and tripod, and headed out across the dunes to find a good vantage point. The launch was supposed to start at 7 AM, but the first balloons didn’t start to appear above the dunes until nearly 7:30. The sky was clear and deep blue–a combination I usually try to avoid for my photography, but in this case the conditions were perfect; the multi-colored balloons stood out beautifully against the cerulean skies. 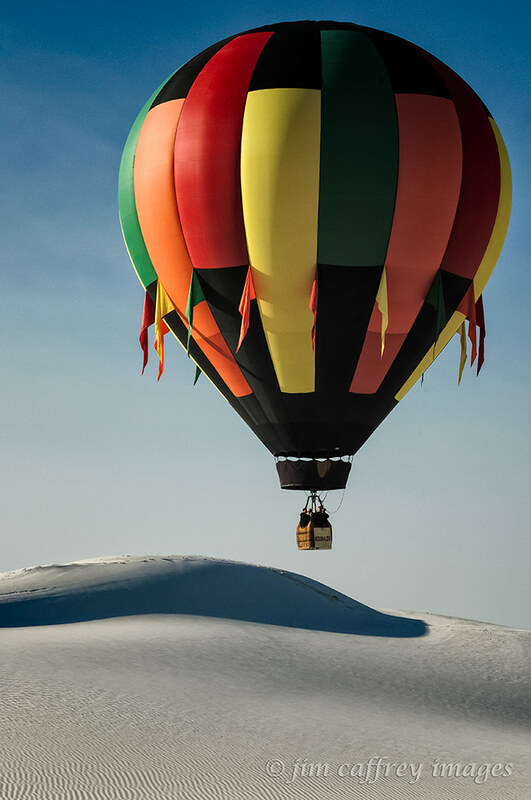 As the balloons began to clear the crests of the dunes, the effect was magical, and for someone who usually comes to the dunes for solitude, their presence floating high above the white dunes provided a very different experience of the place. As I mentioned earlier, this is an annual event. 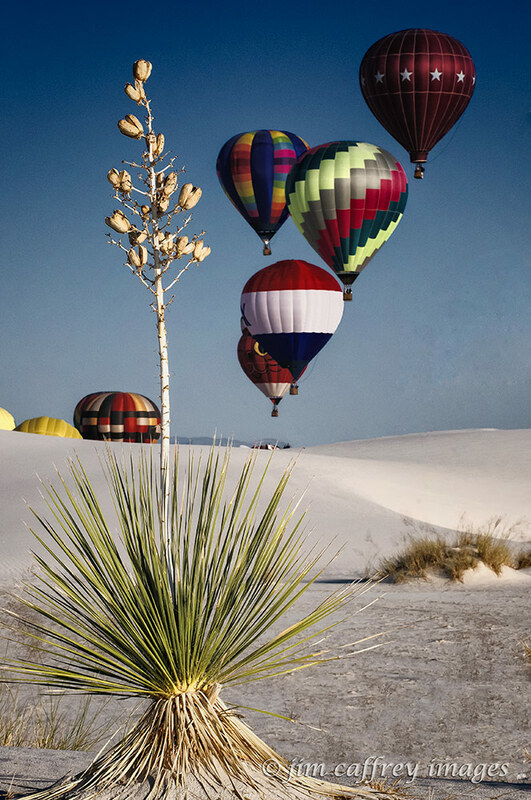 If you’re in New Mexico next year around the second weekend in September, you ought to head to White Sands for the 22nd annual White Sands Balloon Invitational.